Located in the commercial centre of Sale, ibis Styles Sale and Conference Centre boasts 30 recently refurbished units, with a variety of room configurations to suit all tastes and budgets. The hotel is close to the Ninety Mile Beach, magnificent Gippsland Lakes, RAAF Base and Government offices and is ideally situated for guests intending to travel to Gippsland for business or leisure. Ample parking space is provided for cars, buses, trucks and trailers. 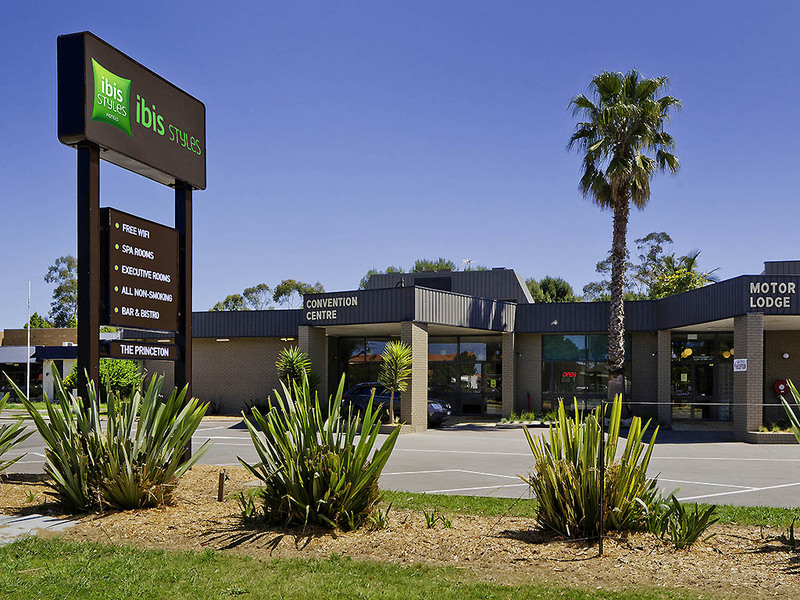 This hotel is in the heart of the Gippsland region of Victoria, in the Shire of Wellington. Sale is home to industries including agriculture, retail and professional services and to companies including Esso, Nylex and the East Sale RAAF base. Perfect venue for conference or functions with more than 500 m² of venue space over 5 rooms. Free wireless Internet and ample parking is provided for all vehicles. Reception is open 7am to 9pm and contact the hotel to arrange check-in after hours. All rooms have been recently refurbished and feature free wireless Internet, 32" flat screen televisions and new bedding. Our standard rooms are clean, comfortable and affordable, offering our guests excellent value for money. Our family rooms offer travellers the comfort and space of two interconnecting superior rooms, accommodating up to a family of 5. Castro serves breakfast from 7.00am through to 9.00am. The restaurant provides dinner 7 nights a week; Weekdays from 6.00pm to 8.00pm and Weekends from 5.30 to 7.30. The Lobby Bar serves various cocktails and light snacks from 6.30pm to 9:30pm.